How do you deal with your loss? Now, and after my simple experience (3000 hours), I’m sure that the candle price moving by traders feelings , that’s the thing is impossible that there is a person can Expects its future movement more complete. The result, the acceptance loss. Whenever you are ready to accept loss large,more be closer to 10% winners. What is your way in accept losses (before, during, after ) the occurrence of losses. You DON’T accept that loss ! Losses hurt, winners make you feel good ! Over many iterations with small stakes you hope to gain an advantage. if you flip a coin a thousand times a day with a mate - each of you starting with a thousand dollars, if it lands heads you win a dollar. If it lands tails he wins a dollar. Flip that coin every day a thousand times a day for a thousand years - “Law of averages” says you both end up with a thousand dollars - BUT that is not the truth - at some point during that thousand years one of you will “Bust” the other one. IF he starts with a million dollars and you start with a thousand - HE WILL bust you ! - just the way it is ! Now if you say to him “I’m bored with this lets play cards” - If you cut the cards 15 times and I shuffle in between cuts, IF you cut the exact same card twice in 15 cuts, you pay me a dollar - if you don’t cut the exact card twice, I’ll pay you a dollar, YOU WILL bust him over unlimited iterations, provided you have a decent stake to start with. That then is your “Edge” and you will soon stop caring wheher you win or lose any single bet ! What you need is a system which is in your favour, probabilty wise. Then you will stop caring - That’s all ! You should see that there are two types of loss. Type 1 is where you followed the rules of your strategy and instead of doing the most probable thing as identified by your technical analysis, the market took the less probable direction and you were stopped out. These losses are inevitable and should be kept predictable in size and small in size - use TA to identify the stop-loss position, which allows you to calculate position size, which allows you to keep risk small so that your account will not be badly damaged by the losses built into your own strategy. Type 2 is where you did not follow your own rules and go outside the strategy. These trades must be avoided whether they win or lose. If you don’t have a consistent strategy, go back to demo trading and testing various strategies until you are consistently profitable through paper trading, then start trading again. First up - deposit your money as if it’s a game. Money’s not yours anymore. But you get to play. Will you win or lose is up to you. Losses can then be taken as nothing more than bad at the game. Or you could learn why you lost. Take it as a lesson. Lessons cost money. But you already paid. 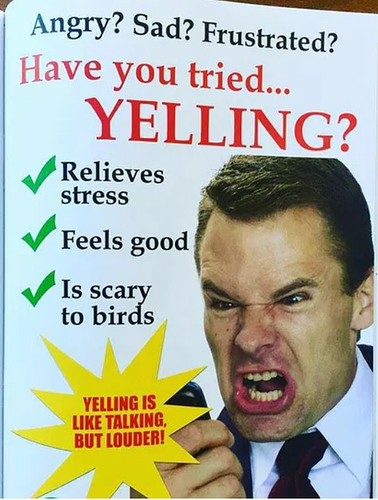 Personally I like the ole approach of stamping my feet frowning heaps punch the wall punch the cat yell scream and abuse the nearest person. I think it helps lol. I ignore individual losses because I see them as an unavoidable part of the game. I ignore individual wins because I know losses are sure to follow. I ignore winning% all together and focus on Quarterly and YTD P/L. And on a side note, i’ve learned a heck of alot more from my losses. In order not to get upset when losing money on forex it’s necessary to work on the trading psychology. And try to ignore emotions during the trading process. With experience comes understanding, that you shouldn’t get upset because of bad fortune on forex, because one day you’re doing good, and tomorrow you lose your deposit. Dealing with loss is painful task. You have to learn it gradually. It is easy to deal with losses when you know your winning ratio. It may not be possible that every time you will win. So you have to know how many times you can win. The problem is we want all our entry profitable. Trading is a survival game. Here survival comes first. Most of time our Ego doesn’t allow us to keep calm. It wants revenge. And the result is more losses. Loss will give pain it’s natural. Dealing with loss is only possible when you know how to recover it without being desperate. That’s why risk reward ratio and winning ratio is important. Trading is a probability game. In some cases you will loss but if you know your risk reward ratio and winning odds, you won’t feel that much bad. It takes time to learn and that we are not ready to give. We are in hurry. Before you place a trade, you should plan for all possible outcomes. Have an exit strategy in mind whether the trade reaches your take profit price or your stop loss price. Then closing your trade either for profit or for loss is simply a matter of following your plan.